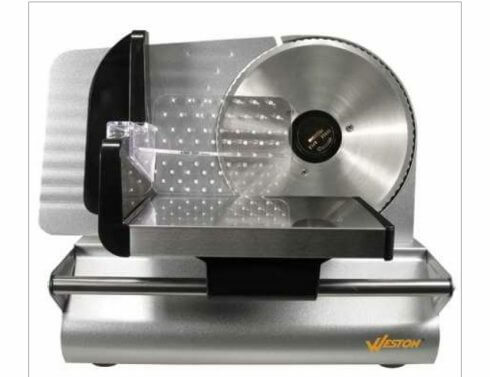 Quality Food slicer that can handle meat, and other foods, such as cheese and bread. 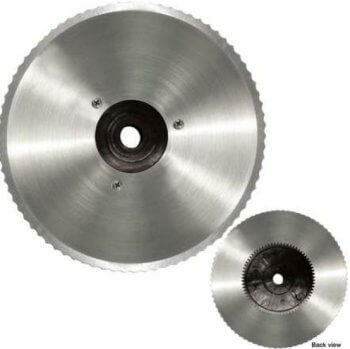 Two blades included/ Powerful 200 watt motor (compare to 100-130 watts for most slicers of its size). This is the ideal home meat slicer. Don't be fooled by its compact size - You can precisely slice deli meats, steaks, and everything in between with this rugged, high-powered machine with the regular blade. You can even slice bread and cheese with our included 7 ½" serrated blade.